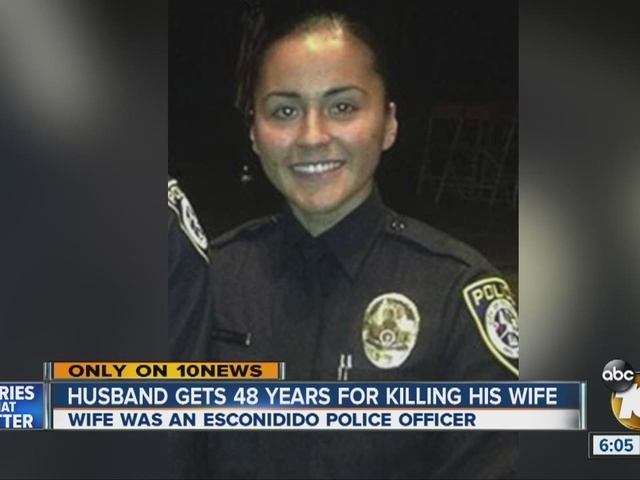 MURRIETA, Calif. -- A Murrieta man found guilty of killing his wife, an Escondido police officer, will serve 48 years to life in prison. Freddy Perez-Rodas, 27, was sentenced Friday in Riverside County Superior Court in the July 23, 2014, death of 25-year-old Laura Perez. On Oct. 7 2015, a jury found Rodas guilty of second-degree murder and arson in her death. Rodas fatally shot Perez during an argument in their Murrieta home. Detectives say Rodas then put his wife's body in a storage locker in Moreno Valley. Police said he then returned to the home and set fire to it, but failed to burn it down. According to police, Rodas called 911 to report that his house was on fire. He was later questioned and arrested. The couple's then 4-year-old daughter was not harmed and was placed in the care of extended family. Perez had worked as an officer for nine months prior to her death.